Daryl Johnson (Worcester Park, United Kingdom) on 1 November 2009 in Architecture and Portfolio. A different take on the view seen yesterday; this time I was trying for something a little less stylised. Superb capture! It really is an incredible place. What a fabulous place. We feel like being in a dream! It does look like a white heron! WONDERFUL!!!!! Like something from another world - as, indeed, it almost is ! A postcard shot. One of your best. My favorite castle has a whole new look at cherry blossom time. Fabulous! Yes this one looks more natural. 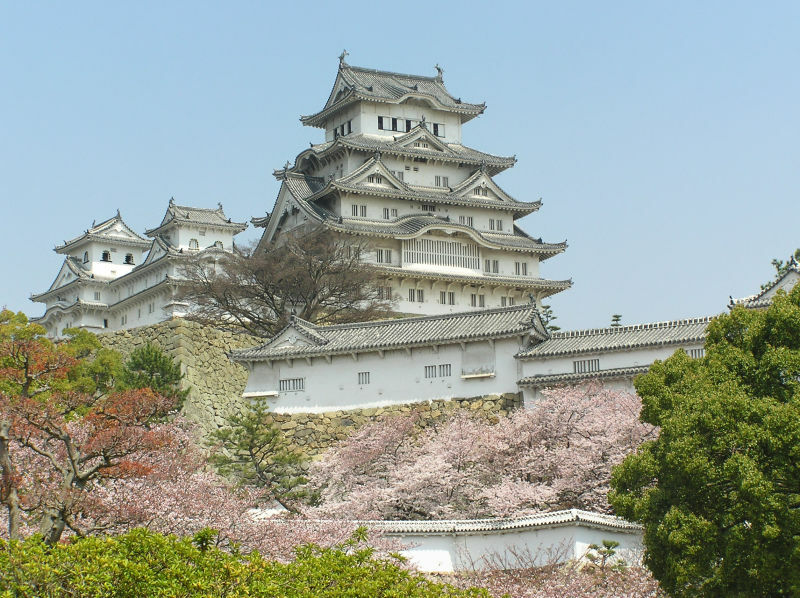 I like also the fact that we see more the cherry blossoms with the castle.